Code 7 are a joy to work with. Their systematic and user experience approach created us a beautiful and high-performing website that presents our products in the best light. Excellent quality, full-width imagery is featured throughout the site. It fully reflects every aspect of the equipment in the best light, and also features all the information needed for anyone visiting the site. Videos at the top of pages show some of their products, guides and techniques in action. 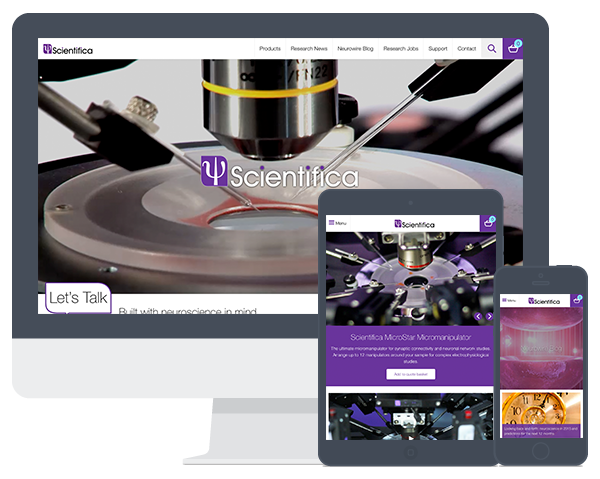 We used Craft CMS for Scientifica's website, which was perfectly suited to their needs. 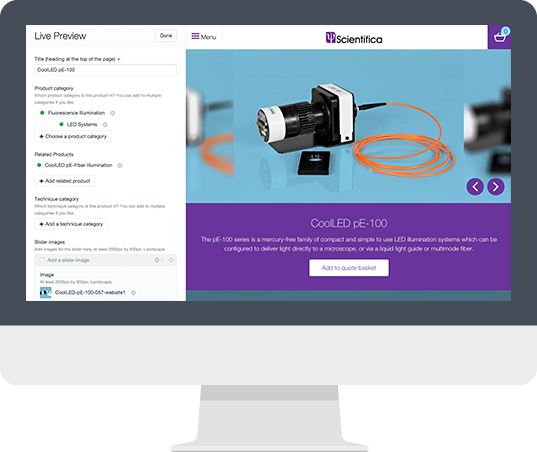 With thousands of products all categorised and being added and altered on a daily basis, the staff at Scientifica needed an easy to use CMS which would save man hours and hassle. Previously having used Joomla, the process of adding products was time consuming and inefficient. They have noticed a great improvement upon using Craft, and are able to reorder, add, remove and change product information with ease. Scientifica manufacture and distribute high-quality instruments to universities, pharmaceutical companies and research laboratories around the world. Specialising in equipment for electrophysiology, multiphoton imaging and optogenetics studies, they help researchers gain a better understanding of the nervous system, including neurological diseases such as Alzheimer’s, Parkinson’s and epilepsy.